Given the ease and efficiency of business marketing on the World Wide Web these days, the concept of the business card seems to have dissipated from the minds of enterprises. Broadcasting your brand message seemingly has to arrive with multimedia and to come attached with numerous bells and whistles. The reality for small businesses is quite different though when we examine what works on the ground at a local level. Having an item that informs a client in person about your product or services helps to give your operation a point of difference compared to competitors who don’t see the value in this proposition. Here is the case for the benefits of utilizing business cards in the current commerce community. There will be a series of scenarios for local business operators who have their name and logo plastered on their car or shirt to market their wares in person. As discussions are held and they are stopped on the street for more details, this is an organic call to action moment where a consumer needs details. 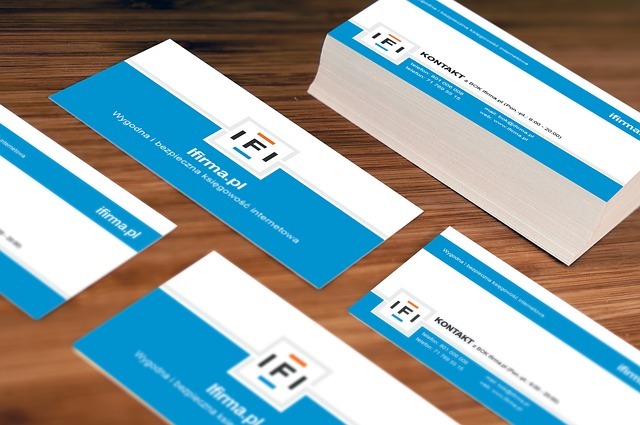 The business card is designed for this point in time as the go-to option without slowing down either party. Consumers will easily forget within minutes what they were looking for. Online this is just as difficult and having a business card lodged in their wallet, purse or elsewhere will assist them as a reminder to sourcing that product or service at a later date. A stock standard card might not improve your image as a brand too much, but this is a space that can showcase a degree of class, charm and creativity. If the imagery pops from the perspective of the user and the brand messaging sinks in for that individual, then the value of the printing has already paid for itself. Businesses are always searching for a point of difference and this card can be a vehicle to achieving that target. Business cards in 2018 don’t necessarily have to be the printed versions. Digital cards can be used for email campaigns or social media promotions where the design and implementation is still utilized without the need to undertake the physical printing process. It gives the consumer the option to print at home if they so choose, taking the space and hassle away from the physical cards that can be discarded from a wallet or on a fridge wall.